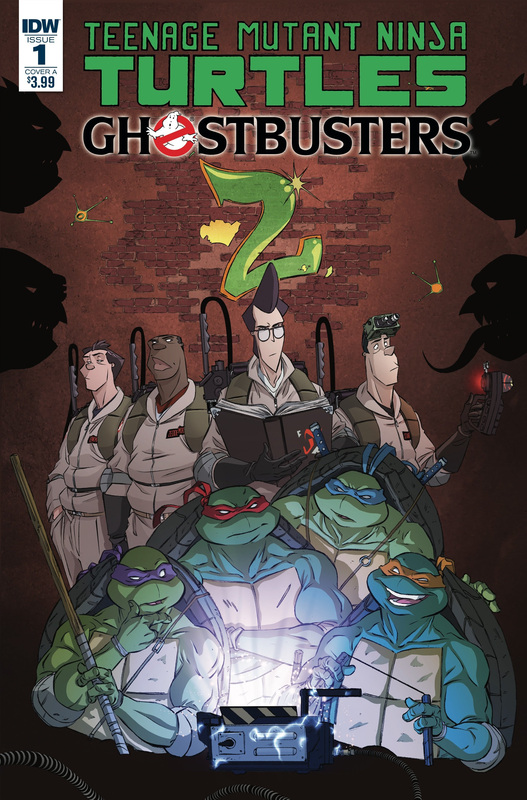 This November, the Teenage Mutant Ninja Turtles and the Ghostbusters reunite for a new inter-dimensional adventure! Teenage Mutant Ninja Turtles/Ghostbusters 2 brings back of the modern fab fours in an upcoming weekly five-issue crossover event series from IDW Publishing. When last the Turtles and the original ‘Busters crossed streams in 2014, the Turtles got stuck in the Ghostbusters dimension. Now the story carries on in 2017 when an old adversary traps the Ninja Turtles in a ghost dimension. However, all hope is not lost, as New York City’s original paranormal investigators answer the call to action in saving our Heroes in a Half Shell. Teenage Mutant Ninja Turtles/Ghostbusters 2 #1 hits comic stores on Wednesday, November 1, 2017.